For a variety of reasons, we might find ourselves temporarily out of training for a while. It could be due to an injury, an illness or even a demanding period at school or work. And the longer we are away, the harder it is to come back. Many find it very difficult to get back to the dojo, and sadly, some never do. But that does not have to be the case. What’s worse, the feeling of looking a little bit rusty or the regret I will feel in years to come when I look back and say, “I wish I stuck at that.” Or, what’s worse, the feeling of being temporarily uncoordinated again, the pain of having lost some temporary fitness, or the thought of looking back in years to come and realising you had the opportunity to put your life back on track and you let it go? The old saying still rings true, “You don’t know what you’ve got until its gone. On the topic of ‘Making a Comeback’, another relevant point to make is the fact that often we have it in our control, the ability to avoid letting our training slip in the first place. When illness or injury strikes, it’s often out of our control to get to the dojo. That doesn’t mean we must do nothing. Let’s say you hurt your shoulder and cannot drive. You can still train at home and practise with your good arm. 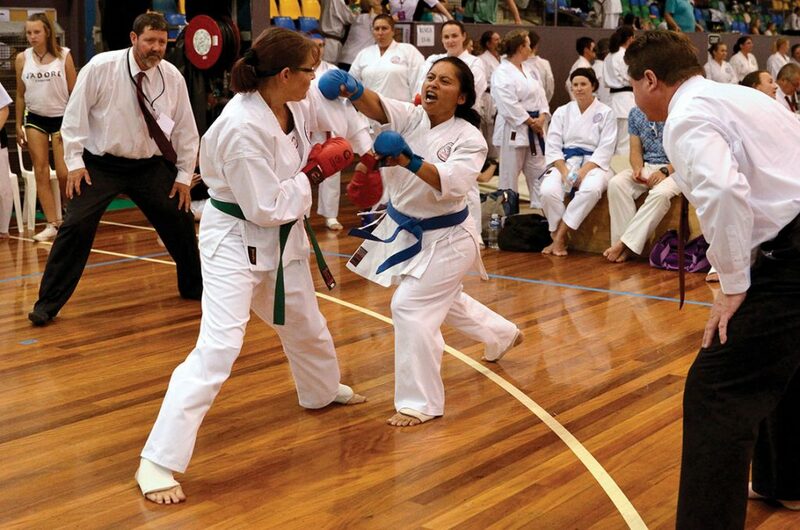 You can still practise kicks and stances, and even kata (short one arm). Now let’s say you are feeling a little ill. A strenuous class at the dojo might be too much, but you can always do light training at home. Or even get to class and train very lightly in the back row. Technical skills are perishable. In other words, what you don’t use, you lose. Muscles are the same; when you don’t train, you lose them. The good news is, that when you have had something in the past, you can get it back much quicker. But remember, you can often take some action to prevent the slide in the first place, making your comeback all the more easier when you are back to your regular routine.